Inline Distributing Company Brands With Truck Fleet Graphics in Three States! For over 30 years, Inline Distributing Company has been supplying the building and construction industry with janitorial, environmental remediation, packaging and construction products throughout the United States. 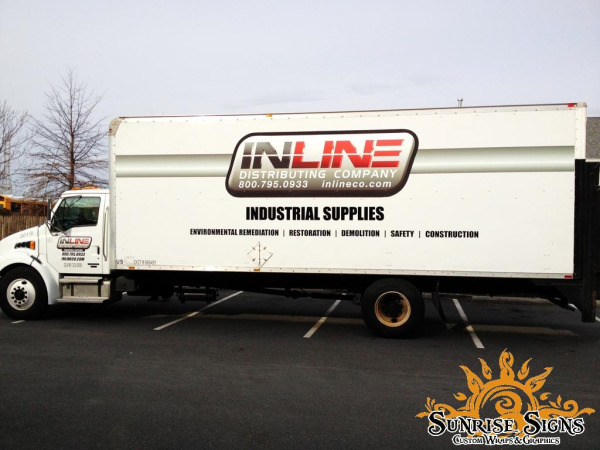 Recently Sunrise Signs was happy to help this distribution company brand a fleet of trailers with fleet graphics.